When the perfect staffing storm hits Jane Rochester’s temp agency, she winds up being Lincoln Chandler’s assistant for a week. Jane doesn’t do office romance, and her last relationship was one-sided. But one hot kiss from Lincoln changes everything. Now she has to decide if it’s love at first sight or just a fiery physical attraction. Lincoln Chandler’s been focused on building his real estate development firm into a Fortune 500 company. He wasn’t looking for is a relationship—particularly when his last girlfriend married Lincoln’s biggest competitor and took proprietary information with her in the bargain. But Jane Rochester is an undeniable force of nature, and the heat between them might be more than just hot nights in the bedroom. 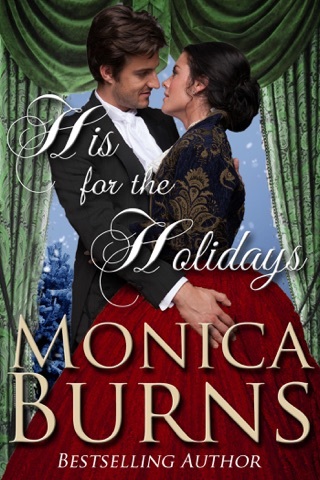 Tempting Jane by Monica Burns is the first book in her brand new Rochester Sisterhood series. 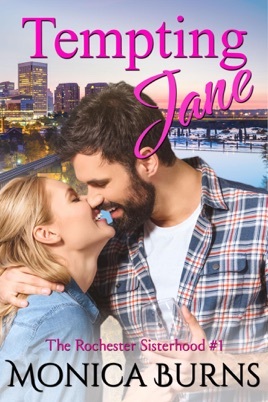 A contemporary romance told in dual POV with the focus on main one couple with wonderful secondary characters (mainly the other Rochester sisters *wink*) and a happily ever after this was a wonderful read. Well-written and well-paced, the story of Jane and Lincoln flows effortlessly off the pages. Jane Rochester is the owner of the Thornfield Staffing Agency and, as such, when her hand-picked staff all are unavailable to step in for a client's emergency staffing needs, she herself steps in. Little does she know, thanks to a phone conversation on the elevator with her younger sister, she steps right IN IT in front of the man on the elevator with her who happens to be the client and owner of Chandler Enterprises. Lincoln is both amused and annoyed by the woman and her conversation on the elevator. While not trying to eavesdrop he can't help but hear the conversation and know it is him she is discussing all while unaware that it is him in the elevator. While annoyance wins out at first he can't help but be intrigued by the beautiful woman in the unflatteringly professional clothes doing her best to not stand out. A wonderful ride through the ups and downs of their meeting, begrudging friendship and growing relationship. The world-building was fantastic and I was sad to see them get their happy ending as I just wanted more Lincoln & Jane. Excited to see which sister is up next!